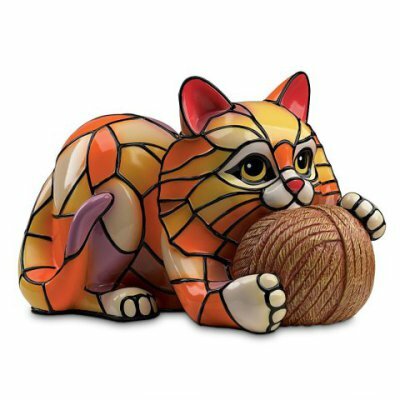 This unique and colorful cat lamp is inspired by the Tiffany lamp style with big squares of vibrantly colored glass making up the kitten's body. This lamp is cute yet elegant and the kitty's innocent playful look is sure to make you smile. In the dark, a small bulb gives the cat a gorgeous soothing glow. 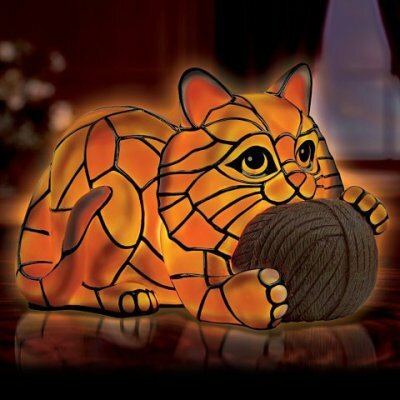 For more information about the Tiffany Style Cat Lamp, click here.